Machine learning and deep learning are at the peak of their hype cycle. They are amongst the most popular emerging technologies, filling social and professional networks with discussions on why they pose a threat to humanity or how many jobs they will destroy over the next two decades. Futuristic technologies like self-driving cars will soon be a reality thanks to machine learning, while other products powered by AI like Alexa and Google Home are already becoming mainstream. It is a good time to develop and market products that are built around the idea of machine learning, but this is not the only way to profit from these technologies. Any stablished company can benefit from machine learning without radically changing its business model or product catalogue. Machine learning can enable the automation of repetitive and time-consuming tasks and offer new insights on customer’s behaviour through prediction, leading to reduced costs and higher profits. The main technical requirement to introduce machine learning solutions is data, but most companies have more than enough. The blocker that keeps many companies from using machine learning is the lack of inspiration on how and where to apply automation and prediction. So, in this post we present four use cases of how machine learning can help non-machine-learning companies. In 2012, Target made the news with a story about their marketing department being able to target families expecting children even when they had not volunteered their pregnancy. They built a predictor of whether a customer is pregnant and her due date based only on the products she was buying. Technically speaking, this is not a state-of-the-art machine learning model (not in 2017, anyway) but it is a brilliant example of marketers finding a new application for prediction: targeting parents-to-be with products to cover their new upcoming needs before their competitors are even aware of those needs. Acting on pregnancy predictions is not relevant for every business and it can be considered as a violation of privacy. But the bottom line is that machine learning methods will let you predict almost anything about your customers — gender, age, preferences, interests and even personality — and that can revolutionise the way in which your advertising campaigns work. Website load speed is a huge deal for marketers as it is closely related to user conversion. Normally, a page starts loading when the user clicks on a link but browsers can also download pages before the user acts. As a result, users can experience that websites load twice as fast. Web developers normally use this feature in a handful of pages where the user path is always the same, for instance a confirmation page always follows the payment page. But we can extend this technology to every page by predicting where a user is going to click. This is the basic idea behind IIH Nordic’s Intelligent Prefetching, a machine learning solution that can be integrated on any website to improve its loading speed. Get in touch at hector@iihnordic.com for more details. Predicting actions and intents will enable you to anticipate your users’ needs and offer them appropriate personalised content and recommendations, both online while they browse your page, use your app or play your game, and offline through notifications, ads or emails. Every business with an online component needs someone to glance over dashboards or weekly reports to make sure that all systems and revenue streams are in order. Continuous monitoring requires a lot of resources, and complex issues or issues localised in one region can slip under the radar until their accumulated effects become noticeable. While investigating the causes and fixing the issues might require an experienced analyst, a computer will be better at spotting irregularities in the data in a timely manner. Machine learning can detect anomalies in real-time regardless of the data volume or complexity. This automation frees the analysts of the low-level monitoring tasks giving them more time to focus on fixes. 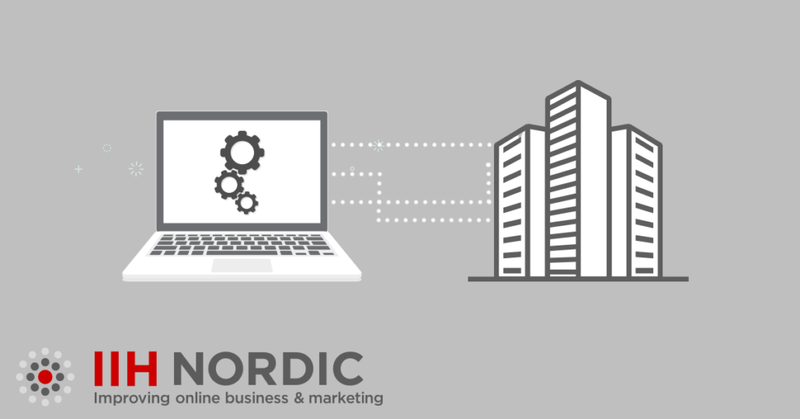 At IIH Nordic we have used this technology to create the Anomaly Detector that produces detailed automated reports of irregularities in web traffic, social network activity, advertisement performance and any other source of online data. Contact us at mark@iihnordic.com for more information. Anomaly detection is a general example of how to improve response time and better utilise human resources by automating a repetitive task with machine learning. B2C companies with online presence need a customer service team to process and respond to the praise and complaints that their customer send over e-mail, contact forms and social media. An efficient customer service will skim through the requests to sort them and prioritise them rather than responding in the order of arrival, making sure that urgent requests are dealt with before general feedback. Ocado empowered their contact centre with a system to tag messages automatically built using machine learning. The tags generated by the system eliminate the need to skim through the body of the messages during the prioritisation process, saving time and reducing worker frustrations. Latest developments in machine learning makes it easy to extract information from text and images, allowing us to automate non-trivial repetitive tasks that take time and mental effort. I know where Machine learning makes sense, what next? Once you have an idea on where to use machine learning, you need to make sure that you have historical data about the task that you want to automate or the values that you want to predict. With a good idea and good data, you have passed the major obstacles so hand the task over to a data scientist team and start thinking of the next idea. In IIH Nordic we have helped companies to find inspiration and implement machine learning solutions as those described in this post, so get in touch if you need assistance bringing machine learning into your organisation. Or give me a shout at hector@iihnordic.com if you want a more technical discussion the use cases above.